If I haven’t mentioned it, Kylie got pregnant again just 4 months after giving birth last September. 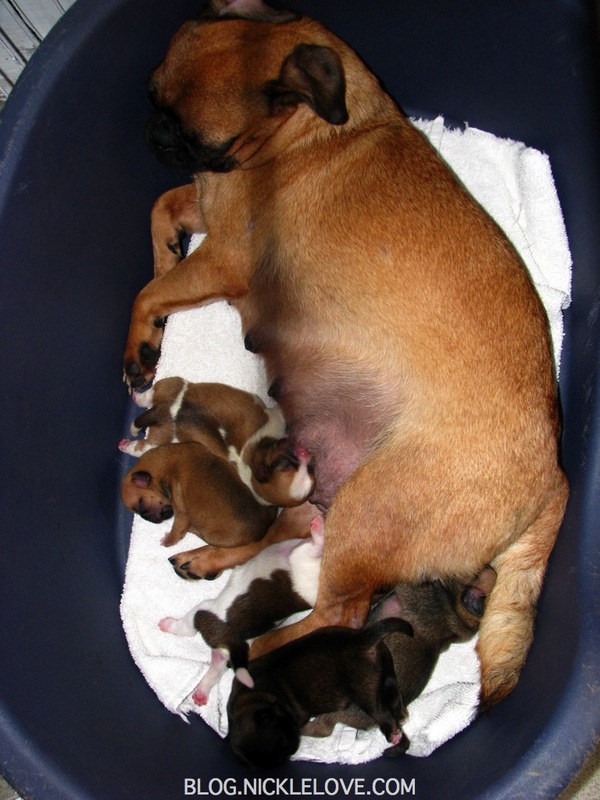 She gave birth last Friday to 5 adorable puppies. First 3 are female, and the last 2 are male. It’s quite easy to remember which came out first because they all have distinguishing marks. Mommy Kylie with her 5 angels. The first one resembled Cyndi’s marks. She has a white glove on her left paw and a bit of white fur in her right paw. The second one looks like Damon, spotty brown and white. The third has a light fawn color, like Stefan. The fourth is black and white like Katniss, Cyndi’s puppy that only lived for a week. And the last born has a dark fur. Mommy Kylie with her first born. Mom and I are keeping the female Damon, while we plan to sell the others. We can’t afford to keep them all even if we wanted to. Female Damon’s right hind leg has a twisted joint, mom massages it every day and we think it has corrected itself. All the puppies look healthy and we’re happy that they are. They grow up so fast! Here are some pictures of my other babies that were taken a couple of days before the addition. 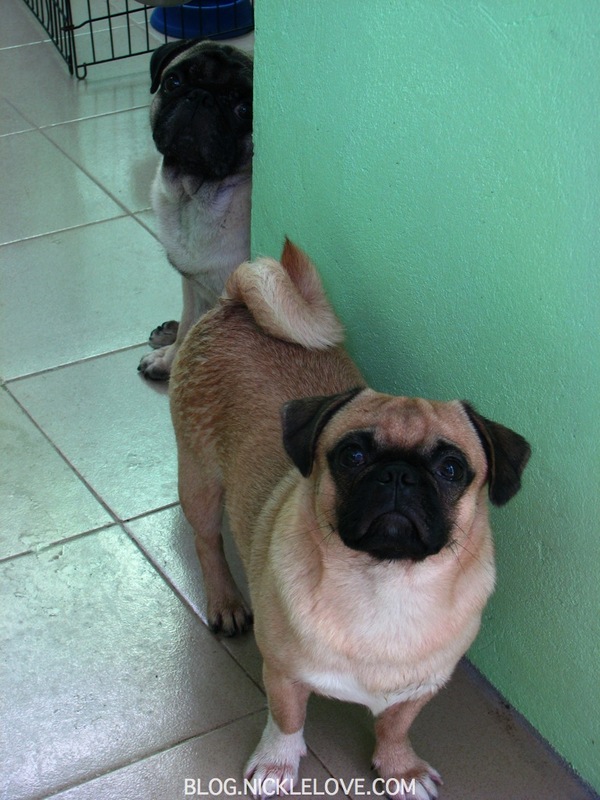 MJ is wondering what I’m doing while Kendo hides behind the wall. Damon hugs Sydney as they try to sleep. Here’s a picture of a boneless milkfish I fried for lunch. I feel like I’ve neglected to write about a lot of things, and then I remembered that nothing happened much during the last time I wrote. Possibly more puppy pictures and updates in the near future.